The real estate market in the United States is one of the most important economic indicators simply because so many people are affected by the rises and falls of home prices. 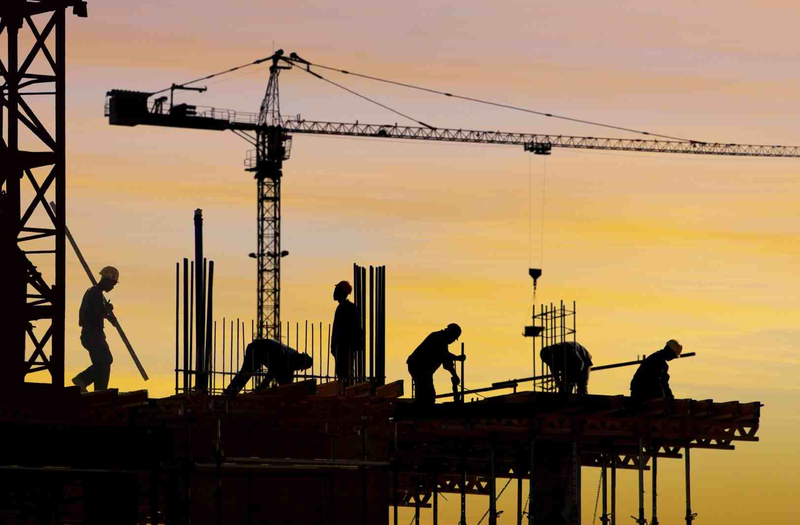 With interest rates at record lows and coming out of the worst housing crash in decades several years ago, there are many changes going on in real estate that will define trends for the next ten years. In this article there will be several predictions on the real estate market over the next ten years. There are many different variables that can affect the real estate market, and that is important to keep in mind as you read through the article. From a historical perspective, interest rates are as low as they have ever been. There were times in the 1970’s and 1980’s that interest rates were three or four times what they are today. Lower interest rates make housing more affordable so any rise in interest rates will cause housing to become less affordable. As this article states, many people believe that the Federal Reserve will decide to finally raise interest rates back up this year after years of keeping them down in order to beef up housing demand. This is an important trend to keep in mind as you monitor the real estate market, as this is perhaps one of the biggest factors currently influencing the market. Some of the nations biggest real estate price gains will be limited to the Southwest. Though the nation will see gains through out the country, according to Zillow only California and the Southwest will see double-digit gains. 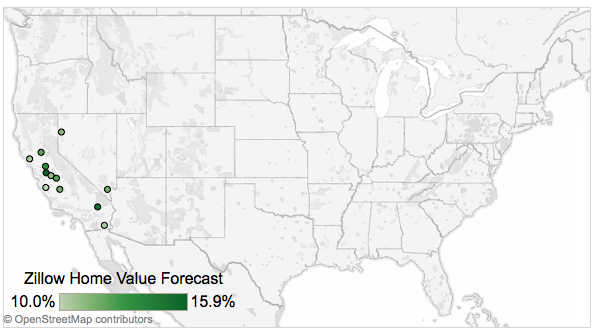 Zillow’s interactive forecasting tool can be adjusted based on a number of factors and on projected home value trends. Their tools says the only cities outside of California to see double digit gains will be Las Vegas and Reno, Nevada. Now these estimated trends are based on Zillow’s Zestimate pricing data, and we all know how accurate that is but it’s still interesting to see the possible trends. Shared housing is a concept that has caught on in recent years, and many people expect it to continue. Shared housing is essentially when several people get together and decide to live together in order to reduce housing expenses overall. Home Buying Institute says, with record numbers of young people saddled with student loan debt, many people are going to struggle to purchase a home even if they can find a job. Shared housing opens up more opportunities for people to come together with a common goal to save money. There are also record numbers of young people who have moved back in with their parents in order to save money. At some point, these people will move out on their own but there could be a lag of housing demand until the economy improves and this situation gets better. There will be many variables that affect the real estate market, and it will be interesting to see what defines housing for the next decade moving forward.